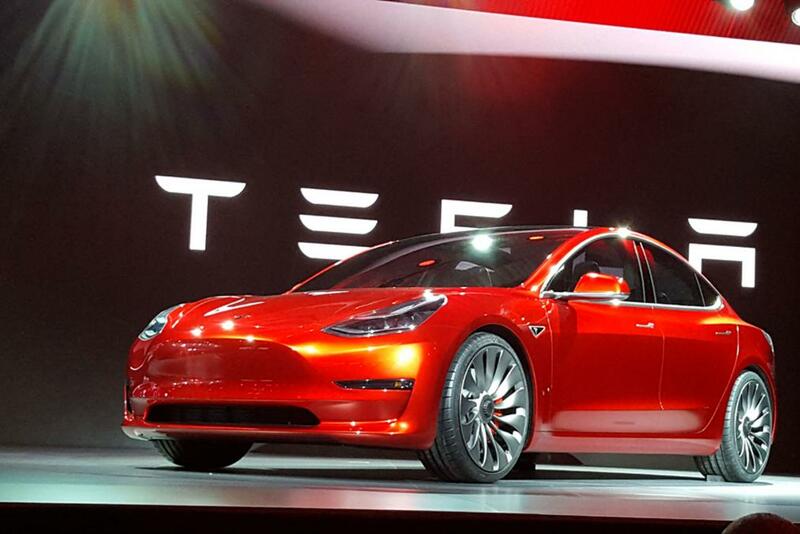 What Does the Success of Tesla Mean for the Future Dynamics in the Global Automobile Sector? After reading Jacobides, MacDuffie, and Tae (2016), the success of Tesla in launching a new automobile company in a crowded sector puzzled us. Jacobides, MacDuffie, and Tae (2016) had convinced us that developing the capabilities to become the manufacturer of a complete, safe automobile system would be quite difficult. Researching the development history of Tesla, we have pieced together the key features of how Tesla achieved its successful entry into the automobile sector. From this we have concluded, based on the development time and costs associated with the Tesla Model S, that a well-funded company could develop a new electric vehicle (EV) from scratch and move it into production within 3 to 5 years, by spending $1–2 billion of capital for design, development, and manufacturing. Without a doubt, increasing production to the levels of mass producers would take much longer, but the Telsa example demonstrates that new entry into the industy has become feasible. Tesla’s trajectory, from start-up on the brink of bankruptcy to a company mass producing electric vehicles within 5 years, raises important questions about the future of the global automobile sector. What would prevent Apple and Google, two companies that clearly have the resources to fund $2B in R&D, from entering the market and contesting fiercely with the dominant OEMs such as GM, Ford, VW, Mercedes, and Toyota? There are already many ventures in the Chinese electric automobile sector, such as BYD, Qiantu, NIO, and many more. Inspired by the success of Tesla, why would Chinese software and internet giants such as Tencent and Alibaba not enter this large market given that Tesla did not have prior experience and was able to get a successful car ready for sale within 5 years? In this perspective piece, we offer our reflections on the implications of the success of Tesla for the dynamics of the global automobile sector. We will appraise the chances that Chinese firms will for the first time become leading players in pushing the frontier of automotive technology, a goal that has eluded them over the past 30 years despite massive government efforts to create strong home-grown auto companies. There are three commentaries on our articles that make for a very spirited debate. J.P. MacDuffie, “Response to Perkins and Murmann: Pay Attention to What Is and Isn’t Unique about Tesla” Management and Organization Review, 2018. H. Jiang, F. Lu, “To Be Friends, Not Competitors: A Story Different from Tesla Driving the Chinese Automobile Industry” Management and Organization Review, 2018. D. Teece “Tesla and the Reshaping of the Auto Industry” Management and Organization Review, 2018. Finally, Liisa Välikangas provides an introduction to the “Forum on Tesla and the Global Automotive Industry” Management and Organization Review, 2018. If you have been taught that relationship conflict (A-conflict) in teams is bad for team performance but arguing about tasks (C-conflict) is good, I encourage you to read my wide-ranging interview in BusinessThink with Professor Denise Rousseau (Carnegie Mellon University), the originator of this idea. After seeing the systematic evidence, she changed her mind and now is a leader in the movement to make management practice more evidence-based. I learned a lot from her while she was distinguished visiting scholar at UNSW earlier this year. To help spread her important message about evidence-based management, I interviewed Denise for BusinessThink. Watch a video of this interview or read the edited transcript that appeared originally in BusinessThink. If you like it, please share it! ‘If you want to get a deep understanding of key management problems that transforming economies face, then MOR is by far your best source’. ‘I was never much interested in Africa, but after reading the article in MOR that documented a genuinely new organizational form in Kenya, I was inspired to partner with a scholar at University of Nairobi to develop potentially new theoretical insights by comparing alliance governance practices in Kenya and in Brazil’. ‘Many of the top management scholars first try to get their work published in MOR. The journal has developed a reputation for publishing the freshest ideas. I think this is in large part because in MOR management scholars have more consistently partnered with scholars from non-obvious fields, such as urban planning, public policy, public administration, cultural anthropology, environmental engineering, and development studies, which proved particularly useful to understand Chinese management challenges’. ‘I follow MOR closely since there is always a good chance that I will come across an article that later turns out to be real blockbuster. This allows me to build on these creative articles before everyone else does’. I wanted to test with a computer simulation the explanations I offered in my book Knowledge and Competitive Advantage: The Coevolution of Firms, Technology and National Institutions for why German firms overtook their French and British competitors in the Synthetic Dye Industry from 1857-1913. So I partnered with Thomas Brenner who has created a simulation model that can replicate the key stylistic facts we know about firm and industry growth patterns. Our paper is now published online the Journal of Evolutionary Economics. Abstract: In a simulation experiment, building on the abductive simulation approach of Brenner and Werker (2007), we test historical explanations for why German firms came to surpass British and France firms and to dominate the global synthetic dye industry for three decades before World War 1 while the U.S. never achieved large market share despite large home demand. Murmann and Homburg (2001) and Murmann (2003) argued that German firms came to dominate the global industry because of (1) the high initial number of chemists in Germany at the start of the industry in 1857, (2) the high responsiveness of the German university system and (3) the late (1877) introduction of a patent regime in Germany as well as the more narrow construction of this regime compared to Britain, France and the U.S. We test the validity of these three potential explanations with the help of simulation experiments. The experiments show that the 2nd explanation—the high responsiveness of the German university system— is the most compelling one because unlike the other two it is true for virtually all plausible historical settings. Richard Nelson explained why is worthwhile to revisit his book. Arie Lewin, Martin Kenney and Johann Peter Murmann edited a new book on China’s Innovation Challenge: Overcoming the Middle-Income Trap. To date there are few research monographs that go beyond picking out striking cases of innovative companies. We clearly also need systematic analyses of China’s growing innovative capacity. For this reason, Xiaolan Fu’s book China’s Path to Innovation (Cambridge University Press, 2015) is a welcome addition to the literature. Fu is Professor of Technology and International Development at Oxford and has written about innovation in China for more than ten years. China’s Path to Innovation has 16 chapters (Table of Contents). The book provides an excellent overview of scholarly literature on the development of Chinese innovative capacities. It deserves to be in the library of anyone working on China’s innovative capacity. Read my full review on economic-evolution.net. This article has appeared in the journal “Business History”, Volume 57, Issue 5, 2015. Abstract: How can business historians and evolutionary economists deepen their conversations? The paper argues that in doing detailed studies of how individual firms develop capabilities over time is where the concerns of business historians who want to tell the history of individual firms and the concerns of evolutionary economists overlap. This is area where more extensive interactions would be most productive. A lot of Chinese researchers simply want to imitate how top American journals in formulating theories without boundary conditions. This sounds like doing good science but more often its leads to superficial analyses that do not explain what is happening in China. I was asked to write a commentary on an article by Child and Marinova (2014) in Management and Organization Review and this gave me a chance to reflect more broadly on choosing the appropriate level of abstraction in social science Research. The article is now published. Abstract: Although researchers often do it subconsciously, every explanation involves choosing a level of abstraction at which the argument proceeds. The dominant North American style of research in Organization Theory, Strategy, and International Business encourages researchers to frame their explanations at the highest level of abstraction where country-level contextual factors are suppressed or ignored. Yet to provide powerful explanations for recent developments in China, researchers are drawn to a greater level of context specificity. This tension is evident in the Child and Marinova (2014) paper. One way to reduce the tension is to identify general causal mechanisms that combine in different ways to produce different results depending on context. This research strategy is more effective than seeking invariant, general patterns of development across all times and places. My article with Salih Ozdemir and Deepak Sardana was just published in Research Policy. Abstract: International new ventures (INVs) have been documented to exist all around the world, but the literature is silent on the frequency of such companies in different countries. We contend that the propensity of new ventures to internationalize by forming international partnerships is higher in small-domestic demand countries because they have a greater motivation given their limited local demand. After discussing the methodological challenges in testing this hypothesis, we do such a test by studying alliances in the health segment of the biotech industry in relatively small-domestic demand countries (Australia, Israel, and Taiwan) and by comparing the results with five large-domestic demand countries (UK, Germany, France, US, and Japan). We find that young firms in the countries with smaller domestic demand are at least 3 times more likely to enter into international partnerships than their counterparts in countries with larger domestic demand. We further demonstrate that this difference can primarily be explained by the difference in the size of domestic healthcare markets rather than other underlying opportunity structure related factors. Murmann Lecture: What constitutes a compelling case study? 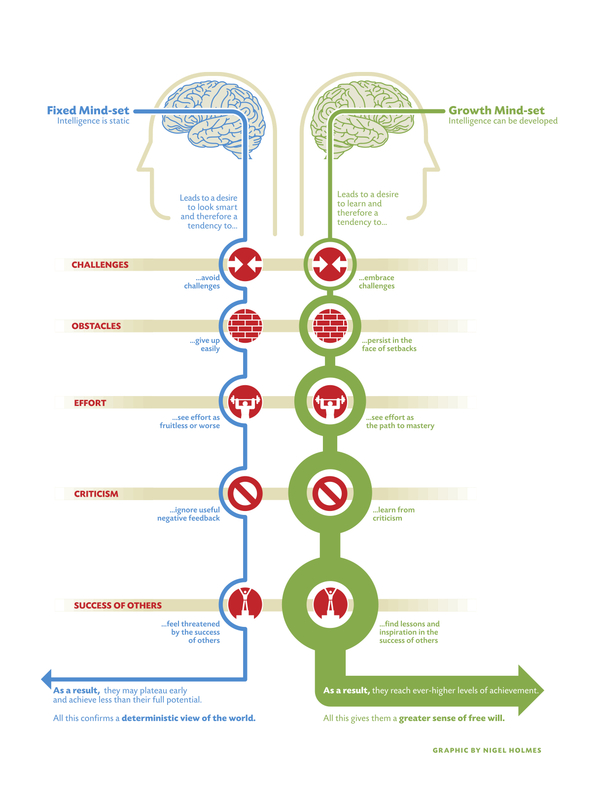 Carol Dweck has spent her career studying how personality traits impact life outcomes. Here is it summarized into one chart. I just read the editorial statement of the current editor of AMJ. If you would like to write about big problems that managers are facing in a scholarly way, AMJ may be a great outlet. A compelling way to frame a study for theoretical contribution is by asking questions on important anomalies or patterns that are intriguing, useful, and nonintuitive. In an earlier editorial with Jason Colquitt, I suggested that we need to explore “Grand Challenges” in management (see the June 2011 “From the Editors” [vol. 54: 432–435]). The principle is to pursue bold ideas and adopt less conventional approaches to address significant, unresolved problems. Not all our studies understandably will be grand, nor will they all challenge conventional wisdom, but considering the relative importance and scale of a problem will likely make a study more relevant to managers, and make it more interesting for our readers. There are multiple ways by which manuscripts can be better positioned for a theoretical and empirical contribution using a problem focus (Alvesson & Sandberg, 2011; Pillutla & Thau, 2013; also see the October 2011 “From the Editors” [vol. 54: 873–879]). What is important to recognize is that this team places emphasis on how a central research problem or question is articulated. Bringing organizational problems to the forefront would ease the burden on vaguely scripted “Managerial Implications” sections of manuscripts (Bartunek & Rynes, 2010). My editorial team will look for clearly articulated problem statements or research questions motivated by managerial challenges. This problem-based focus shifts the emphasis away from motivating articles using pure theories to tackling important problems through an enriched theoretical lens. For example, Hekman and colleagues (Hekman, Aquino, Owens, Mitchell, Schilpzand, & Leavitt, 2010) motivate their study on gender and racial biases in customer satisfaction surveys by emphasizing the importance of the managerial problem that a 1 percent change in customer satisfaction creates a 5 percent change in return on investment. Understanding the scale and scope of the problem and asking the right question takes primacy over the deftness of theoretical manipulation using constructs, moderators, and moderated mediators. We prefer manuscripts that emphasize how constructs provide a coherent explanation of the phenomenon rather than framing and motivating studies by adding untested moderators and mediators. Such an effort would rightly dissuade authors from identifying smaller “gaps” in the literature and shift the discussion to managerial, organizational, and societal problems that need to be addressed. I just read a fantastic research paper that I recommend highly to anyone who is interested in strategy process research. Mirabeau, L., & Maguire, S. 2014. From autonomous strategic behavior to emergent strategy. Strategic Management Journal, 35(8): 1202-1229. The authors do wonderful job first summarizing the different strands in strategy process research. Then they present new findings on how autonomous strategic initiatives become emergent strategy. They introduce the new idea of Ephemeral Autonomous Behavior to balance out the traditional Mintzberg model of emergent strategies. I have added the paper to my list of exemplary case studies worthy of imitation. Understanding how industries change has attracted considerable attention because it blurs industry boundaries, redefines the competitive landscape, creates opportunities for new strategies to emerge, destroys competitive advantages while solidifying others, challenges cognitive maps and establishes new institutional arrangements. In this session, expert panelists will bring us up-to-date on the phenomenon of industry convergence (IC) by sharing their perspectives regarding (1) the antecedents, dynamics, and consequences of IC; (2) how to conceptualize strategic management processes and how they may inform the dynamics of IC; (3) how scholars should evaluate the attractiveness of, and rivalry within, IC industries; and (4) promising research directions including theory development and empirical studies. Do some top executives matter more than others? Integrating insights from upper echelons and executive mobility research, we suggest that the functional roles performed by top executives shape their value to the firm. We examine the effects of inter-firm executive mobility on firm survival for New York City advertising firms from 1924 to 1996. We find that, while losing any top executive is damaging, the loss of a top executive whose functional role focuses on internal firm processes is more detrimental to firm survival than losing a top executive whose functional role focuses on managing external exchange relationships. Additionally, in situations when multiple executives leave simultaneously, firms are more negatively affected when the group departing is functionally heterogeneous. An earlier version that placed more emphasis on heterogeneity of top management teams influencing firm survival is available at SSRN. Read about article on the HBR Blog. How Fast Can Firms Grow? Abstract: Building on recent research on dynamic, high-growth firms—so-called “gazelles”—this paper explores a simple question that is important in both theoretical and practical terms: What is the fastest rate at which firms can grow? Based on a sample of seven high-growth firms (Cisco, GM, IBM, Microsoft, Sears, Starbucks, and US Steel), we find that 162% is the maximum sales growth rate in any one year that an established company can grow without mergers and acquisitions, while the maximum rate of employee growth is approximately 115% even including some mergers and acquisitions. All of the companies in our sample attained a maximum sales growth rate of above 50%, with most hovering around 75%. Furthermore, the firms’ growth rates exhibit similar patterns. No company experienced its maximum sales growth rate toward the latter part of its history. Every company experienced its slowest employee growth rate after attaining its maximum employee growth rate, usually within a decade of one another. Most importantly, all firms show an average sales growth that exceeds the average employee growth. This finding is an indication that successful growing firms have a superior capability to continuously improve employment efficiency and adjust organizational structures to suit an increasing workforce. People underestimate that scientists often make progress by chance. Here is the story of researchers studying a species that has invaded Florida’s Everglades made an unanticipated discovery: deadly Florida pythons have internal GPS. “We found that Burmese pythons have navigational map and compass senses,” said Shannon Pitman of North Carolina’s Davidson College, the lead researcher of a team of scientists that released six captured snakes back into the wild, then tracked them through the Everglades National Park for up to nine months. What makes the discovery more remarkable is that it was completely accidental. Pitman’s team originally wanted to release the snakes closer to their capture points within the Everglades, as they were more interested in studying the habitat through which they were moving than the actual distances they travelled. But wildlife officials, whose efforts to eradicate or contain the up to 100,000 non-native snakes estimated to have spread through the park’s 1.5m acres, refused permission. That led to the team releasing the snakes at more remote locations between 13 and 23 miles away, outside the National Park’s boundaries, and then watching in amazement as one python after another made its way back “home”. Each snake was fitted with a radio tracker and its position monitored by GPS one to three times per week. All six moved in a near-straight line towards their capture points and five ended up within a couple of miles. The snake with the longest journey took nine months to reach its destination. Mokyr points out the modern GDP measures are not accounting for improvements in quality of products and life. He sees no end to innovation. Basic science needs to be funded by governments because private individuals and corporations cannot appropriate the returns from these investments. He sees culture that encourages natural skepticism of students as a key ingredient for furthering innovation of a country. The philosopher and polymath Michael Scriven has written extensively on the logic of explanations. Here are two of his most valuable pieces. The first one is how one can make good inferences from single case studies and the second one one explanations in history. This chapter reviews the ideas that have been developed to describe the emergence and change of structures in three fields: Economics, Management, and Design of Technologies. The chapter focuses on one empirical setting, the economy, and more specifically how firms, industries, and technologies change over time. Today’s industrialized economies are very different from the economies before the industrial revolution. The chapter presents key theoretical ideas from evolutionary economics, management, and technology that try to explain why and how economy has been so dramatically transformed over the past 400 years. You can download a draft of chapter here or find the book in your library or buy it at Amazon.com or MIT Press. Ten years ago I read Stinchcombe’s “Theoretical Methods in Social History”. I recently reread the parts that I had highlighted and I thought it useful to share some key passages. As the argument develops, it will become clear why I am unenthusiastic about most quantitative history. Let me state the argument in capsule form. 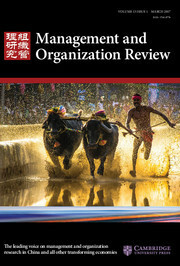 MOR is the official journal of International Association for Chinese Management Research. While the journal is focused on China, comparative studies of China and other countries are highly appropriate for the journal. I am interested in detailed studies of how technologies, organizations, industries and supporting institutions evolve over time. Methodologically, I hope to attract comparative case studies that are rich in descriptive data that is both quantitative and qualitative. I also hope to attract historical case studies. Papers that feature particularly innovative companies or organizational and institutional structures are of particular interest. Examples of papers that illustrate work of interest to this editorial area can be found here. Collection of Research Methods articles in SO! SO! has pulled together the collection of articles on research methods that the journal published over the years. I for one will come back to these articles. I suspect many doctoral students will find them useful. Ann Langley: Over the years, Strategic Organization has published a number of very useful and insightful articles on research methods for studying strategy and organization. This section of the website groups together a collection of the most interesting articles of this type. Both quantitative and qualitative researchers will find ideas for novel approaches and pointers for enhancing the quality of their research among these contributions. New Presentation Slides for Download. Click here. While historical research has played a central role in the development of the strategy literature, it remains underrepresented in strategy journals. This PDW explores how historical analysis can inform strategy research. As the strategy field continues to develop dynamic models of strategy, the historical perspective can provide unique perspective, and could potentially even develop a history-based theory of strategy. Yet, doing historical research in strategy faces methodological challenges given its different approach to the development of theory and use of evidence. Consequently, this PDW addresses the different opportunities available to strategy scholars to engage in the historical method. The format of the PDW is a combination of 1) presentations in which scholars experienced in conducting historical analysis within the strategy and organizational fields discuss the challenges of doing this work and 2) interactive breakout sessions in which participants break into smaller groups to discuss design of a historical study in topical strategy research areas, such as dynamic capabilities and industry evolution. These breakout sessions will help identify how the historical approach can make novel theoretical contributions and reveal roadmaps for pushing this work further. Steve Klepper, who has been an inspiration to so many of us, recently passed away. At the 20th anniversary of the CCC colloquium, we honored Steve Klepper. The video captures very nicely how much Steve touched an entire generation of doctoral students working on the intersection of industry evolution and technological innovation. Richard R. Nelson (b. 1930) is an American economist who has had a significant influence on the field of strategic management. The fundamental question driving his work is how societies can be organized to improve their material well-being. In answering this question, Nelson identifies sustained technological innovation and a diverse range of often industry-specific institutional structures as the key engines of economic growth. He sees business firms as playing a key role in the growth process because firms are the carriers of the knowledge and abilities required to produce the complex product and services that characterize modern economies. Many scholars see entrepreneurs as action-oriented individuals who use rules of thumb and other mental heuristics to make decisions, but who do little systematic planning and analysis. In this new article, Deepak Sardana and I argue that what distinguishes successful from unsuccessful entrepreneurs is precisely that the former vary their decision-making styles, sometimes relying on heuristics and sometimes relying on systematic analysis. In our proposed framework, successful entrepreneurs assess their level of expertise and the level of ambiguity in a particular decision context and then tailor their decision-making process to reduce risk. Download the article here. Strategy research at its core tries to explain sustained performance differences among firms. This article argues that one, out of the many, ways to create a productive marriage between strategy research and historical scholarship is to carry out historically informed comparative studies of how firms and industries gain and lose their competitive position. While much of current strategy research adopts a large N hypothesis testing mode with the implicit assumption that one discovers generalization just like a Newtonian law such as F=m*a that applies across all space and time, an historically grounded methodology starts from the opposite direction. It assumes that a process or event may be idiosyncratic and therefore seeks to establish with detailed evidence that a 2nd (and later 3rd, 4th, ...nth) process or event is indeed similar before generalizing across observations. The article argues that the field of strategy would benefit from allocating more effort on building causal generalizations inductively from well-researched case studies, seeking to establish their boundary conditions. It articulates a comparative research program that outlines such an approach for the arena of industry and firm evolution studies. Download Article. Reference: Hubbard, R., & Vetter, D. E. (1996). An empirical comparison of published replication research in accounting, economics, finance, management, and marketing. Journal of Business Research, 35(2), 153–164. He had hoped to use mathematics to give the social sciences the same rigor as such hard sciences as physics and chemistry, but found that a frustrating experience; even with the new machine called a computer that was available at Carnegie Tech, it seemed that something was always missing when human factors were translated into numbers. Maria Konnikova rearticulates this point in Scientific American. The 9th Atlanta Competitive Advantage Conference had a panel to celebrate the publication of Nelson and Winter’s 1982 landmark book. The panel included Sid Winter, Connie Helfat, L.G.Thomas III, and myself. As part of my reflections, I offered a citation analysis to demonstrate the influence of the book with data. I went on to explain that there is a tension between the goals of IO economics and strategic management and argued that Nelson & Winter’s focus on firms doing innovations is a way to resolve this tension. Finally, I called for more research that examines the the relative role of population level selection versus firm-level adaptations in industrial change. Andy Henderson and his coauthors have done us a great service. They are analyzed last decades to find a list of firms whose superior performance cannot be explained by randomness. Although sustained superior firm performance may arise from skillful management or other valuable, rare, and inimitable resources, it can also result from randomness. Studying U.S. companies from 1965–2008, we benchmark how long a firm must perform at a high level to be confident that it is something other than the outcome of a time-homogeneous stationary Markov chain defined on the state space of percentiles. We find (a) the number of sustained superior performers in Compustat, measured by ROA and Tobin’s q, exceeds the number of false positives we would expect to be generated by such a process; yet (b) the occurrence of false positives is often enough to fool many observers, so (c) the identification of sustained superior performers requires particularly stringent benchmarks to enable valid study. Click on More to see the list of firms. As the rate of innovation increases, organizational environments are becoming faster and more complex, posing greater challenges for organizations to adapt. This study argues that the concept of coevolution offers a bridge between the prescient adaptationist and ex post selectionist perspectives of organizational change to account for the increasing rates of change. The mutual causal influences in a coevolutionary relationship help explain why competing sets of firms or individual firms can capture dominant shares in product markets. Using a comparative historical method and drawing on evidence from five countries over a 60-year period, this paper inquires how precisely coevolutionary processes work in shaping the evolution of industries and important features of their environments. It identifies—in the context of the synthetic dye industry—three causal mechanisms (exchange of personnel, commercial ties, and lobbying) and suggests how they acted as levers on the fundamental mechanisms of evolution. Understanding the levers is important for managing change in a world that is increasingly becoming coevolutionary, requiring managers to focus more on the emergent, system-level properties of their environments. Download Article. I have recently found an ancient scroll, written in Reformed Egyptian, in my crawl space. It turned out to be a rejection letter from the editor of an ancient scientific journal, Geometrica, addressed to Ptolemaeus of Alexandria, the famous geographer. It is a remarkable document that shows how little scientific publishing has changed since ancient times. • the document contains sentences that are almost verbatim the same as written much later by different people who definitely had no knowledge of the text in my basement. In this article, I present a strategy for designing relational databases with the program FileMaker Pro (FileMaker) to study the histories of individuals and organizations. The approach facilitates efficiency in inputting data and flexibility for constructing statistical analyses from the rawdata. The key feature of the strategy is to define the basic unit of observation in the database in terms of an agent, an event, and a date. Given that programs such as FileMaker can easily sort data by agent and date, once one structures the data correctly, he or she can construct well-ordered event histories for agents, even if the researcher enters the data in an unordered fashion. By using events that happened to an agent at a particular time as the basic unit of observation, one maintains maximum flexibility to do statistical analysis that aggregates basic data in different ways. This article illustrates the power of the approach by outlining ways to analyze changes in geographic distances between two events marking the life histories of chemists. Download Article. I participated in a workshop bringing together Business Historians and Evolutionary Economists at Trinity College in Dublin. Overview information on the workshop and the presentation slides have been posted in the Economic-Evolution.net discussion forum. Frank Furedi has written a very thoughtful essay on the problems with current peer review system in science. In my view, the issues are a lot more serious in the social sciences where is much harder to formulate non-trivial general laws and make precise predictions that can be proven or disproven. The natural sciences require replication before something is accepted. There is very little exact replication in management research for example. Theories are accepted on very tenous grounds and when you write a paper that contradicts existing paradigms your data is not going to persuade your peers who have a vested interested in the status quo. Read Furedi’s Essay. CM: Having written 43 books, including more than 20 biographies, you’re nothing if not prolific. What’s your work routine? JM: I work every day— it’s important to keep up momentum—from 9:30 to 1 in the morning and from 7:30 to 11 in the evening. In the afternoons I recharge by playing tennis (inexpensive psychotherapy), taking long walks, frequenting bookstores, going to the Cal library, and wandering around San Francisco. I do research and interviews with family and friends for six months. I then write by hand on yellow pads, type three pages a day and 100 pages a month on the computer, and finish a 400-page book in four months. Finally, I spend two more months revising. When I’m done, I follow the example of my longtime friend, Iris Murdoch, who began her next novel the day after completing the previous one. (More momentum.) While the editor is reading my typescript, I do the research and write a ten-page proposal that secures the contract and advance for my next book. Economics: Is the discipline in crisis? Drake Bennett of the Boston Globe is reporting on the soul searching that is going on the field of economics and finance after the professions inability to foresee the crisis. THE DEEPENING ECONOMIC downturn has been hard on a lot of people, but it has been hard in a particular way for economists. For most of us, pain and apprehension have been mixed with a sense of grim amazement at the complexity of what has unfolded: the dense, invisible lattice connecting house prices to insurance companies to job losses to car sales, the inscrutability of the financial instruments that helped to spread the poison, the sense that the ratings agencies and regulatory bodies were overmatched by events, the wild gyrations of the stock market in the past few months. It’s hard enough to understand what’s happening, and it seems absurd to think we could have seen it coming beforehand. The vast majority of us, after all, are not experts. But academic economists are. And with very few exceptions, they did not predict the crisis, either. Some warned of a housing bubble, but almost none foresaw the resulting cataclysm. An entire field of experts dedicated to studying the behavior of markets failed to anticipate what may prove to be the biggest economic collapse of our lifetime. And, now that we’re in the middle of it, many frankly admit that they’re not sure how to prevent things from getting worse. Trying to imitate high-status Newtonian physics, management scholars over the past fifty hear have tried to formulate general laws about the behavior of organizations. In his statement after the passing of the $700 billion bailout of the financial industry, Paulson in my view correctly emphasized that the salient fact about most industries is the diversity and not the sameness of firms within them. I don’t know anyone who has come in contact with Charles Tilly and who was not inspired by him. For those who have never met him, here are wonderful tributes to this exemplary scholar. Traditionally most researchers working with printed data sources have entered data by hand to convert it into electronic format. If a research project involves large amounts of data from similarly formatted sources – for example, when one tries to create a longitudinal database of directory information spanning many years – entering this data by hand is a very labour intensive and tedious task. We wanted to automate the coding of printed directory information in order to cut down the time it takes to transfer this information into electronic data. Once the data is in electronic format, it can be further analysed with a plethora of software packages ranging from Microsoft Excel, FileMaker, SAS and SPSS, depending on the needs of the particular researcher. The purpose of this technical paper is to share with other scholars in a clear and practical way the methods we developed for automating the coding of printed information. Download article. Over 150 people came to the Power of Richness PDWs at each of the last three Academy meetings, drawing from many different divisions and interest groups. With the demand for the workshop running so strong, Diana Day and I will try to organize an All-Academy PDW for the next meeting Annaheim. The format this past year proved very successful for learning how to do qualitative research well. The first part of the 2008 PDW will feature again a panel of leading qualitative scholars (Jane Dutton, Royston Hinnings, Martha Feldman and Ann Langley ), who will offer their insights qualitative research can help us ask the right questions. The second part of the workshop will have parallel sessions designed for people beginning or developing qualitative research and those trying to publish qualitative research. Participants in the second part can have small group discussion with panelists, attend at least two of several tutorials, or sign up for a paper feedback session with experience scholars. For more up-to-date information on this Qualitative Research PDW, interested parties should go to our website PDW 2008 where we will post new information as the specifics of the PDW (tutorials subjects and leaders chosen), working paper discussion leaders, etc. Presentation slides from the event are now posted. Please click on this link. Chinese scientists have carried out a powerful meta-analysis and created new knowledge about the chemical pathways that lead to addiction. Can social scientist imitate this model? I am not sure. But certainly we should strive to do so. Dr Wei therefore ran her 396 genes through a database of all known pathways to see which involved several enzymes encoded by those genes. She found 18 that were involved in addiction to at least one type of drug. Five, however, were common to all four types, and these five pathways therefore look as though they are at the core of the process of addiction. Three of the five were already under suspicion. Dr Wei’s result provided strong statistical evidence to back up what had just been hunches. Two other pathways, however, had not previously been considered as being involved in addiction. The existence of these five central pathways helps explain a lot about addiction. First, it gives weight to the belief that some people are more susceptible to all sorts of addiction than others are. That contrasts with the thought that addictions are substance-by-substance phenomena, though the two ideas are not mutually exclusive since changes in the 13 substance-specific pathways clearly also result in addiction. Full story is available at Economist.com. This is an excellent piece that shows how important it is to actually understand how IQ measures are constructed. Any empirical researcher can learn from the New Zealander who showed how much the alleged genetic intelligence is socially constructed. Read NONE OF THE ABOVE: What I.Q. doesn’t tell you about race. The large crowds that came to the Power of Richness PDWs in Atlanta and the year before in Hawaii have convinced us there is significant demand in the Academy for learning how to do qualitative research well. This year we will build on the success of our two previous qualitative methods PDWs and create an even more ambitious PDW. The first part of the PDW will feature a panel of leading qualitative scholars (John Van Mannan, Steve Barley, Andy Hargadon, and Bill McKelvey), who will offer their insights about how to craft qualitative research papers. The second part of the workshop will have parallel sessions designed for people beginning or developing qualitative research and those trying to publish qualitative research. For more up-to-date information on this Qualitative Research PDW, interested parties should go to our website PDW 2007 where we will post new information as the specifics of the PDW (tutorials subjects and leaders chosen), working paper discussion leaders, etc. When and Where: Friday, August 3, from 1:00 to 5:00 pm at Marriot Liberty Ballroom C.
David Warsh tell the story of how the idea of increasing returns that was already present in Adam’s Smith’s Wealth of Nations transformed academic economics in the 1980s. Read Paul Krugam’s review in the New York Times. Gladwell writes: In “Why?” (Princeton; $24.95), the Columbia University scholar Charles Tilly sets out to make sense of our reasons for giving reasons. In the tradition of the legendary sociologist Erving Goffman, Tilly seeks to decode the structure of everyday social interaction, and the result is a book that forces readers to reexamine everything from the way they talk to their children to the way they argue about politics. Read the full review in the New Yorker. Inspired by the large number of participants at the “The Power of Richness: The Why, When, Where and How of Qualitative Research Methods” PDW in Honolulu, Diana Day and I (Peter Murmann) decided to organize a follow-up workshop on qualitative methods at the academy meeting in Atlanta. The workshop will again have a stellar group of scholars presenting their ideas about how to make qualitative reseach powerful. The confirmed presenters are: Kathy Eisenhardt (Stanford), Mauro Guillen (Wharton-U. of Pennsylvania), Sara Rynes (Editor of AMJ), Nicolaj Siggelkow (Wharton-U. of Pennsylvania), John Wagner (Associate Editor of ASQ), Karl Weick (Michigan). More details about the workshop will as we are getting closer to the event. Visit the Discussion Forum for the Event where you can now download the presentation slides from the workshop. Together with two Finish scholars, Juha-Anti Lamberg and Jari Ojala, I started a comparative study of the paper and pulp industry. Human beings have been making paper from various raw materials for thousands of years. But in 1804 a Frenchman invented a continous paper machine revolutionized the manufacturing and started the modern paper making industry. The goal of our project is to study shifts in competitive advantage from one country to the next and from firm to firm during the last 200 years. We are starting our comparative analysis looking at Britain, Germany, Finland and Sweden. Our long-term plan is to study all the major paper producing countries in the word. If you are interested in participating in this study, contact us. Warren Bennis and James O’Toole just published an article in the Harvard Business Review that I wholeheartedly agree with. It is very fun to read because they are well-informed and don’t shy away from stating some unpleasant truths. Good business schools have room for theoreticians, scientific empiricists, and practice oriented scholars. On January 26, 2005 I delivered the Stanley Reiter Award Lecture. The Reiter award is named for Stanley Reiter, Charles E. and Emma H. Morrison Professor of Managerial Economics and Decision Sciences at Kellogg. It is presented to a Kellogg faculty member whose paper is judged by a panel of Kellogg professors across disciplines to be the best paper written in the preceding four calendar years. I received the award for my book Knowledge and Competitive Advantage: The Coevolution of Firms, Technology and National Institutions. You can also read the text of the lecture by clicking on “More” button or by downloading it as a Word file. Alternatively, you can watch a video (58 minutes) of the lecture with Real Player here: Lecture Video. If you watch the video, you should download the Slides that I presented during the lecture but which are not visible in the video. Participate in the workshop on Qualitative Methods the Academy of Management in Hawaii, Friday afternoon from 1:00 to 4:00, August 5, 2005. The Panelists are: Robert Burgelman, Diana Day, Deborah Dougherty, Charles Galunic, Johann Peter Murmann, Gabriel Szulanski, and Klaus Weber. Visit the Discussion Forum for the Event where much additional information will be posted. I am a big fan of explanations of social phenomena that set forth the precise causal mechanisms that produce them. This book edited by Peter Hedstroem and Richard Swedberg provides a very good introduction to the approach. The only think I don’t like about the piece its believe that all mechanisms in sociology need to refer to individuals. You can download the overview chapter here: Social-mechanism.pdf Click on “More…” for a Table of Contents. The author of Guns, Germs, and Steel considers why some societies collapse when faced with environmental or political catastrophe, while others soldier on. Malcom Galdwell has published a useful review of the book in the New Yorker . Personality Plus: Employers love personality tests. But what do they really reveal? A hefty percentage of American corporations use personality tests as part of the hiring and promotion process. The tests figure in custody battles and in sentencing and parole decisions. “Yet despite their prevalence-and the importance of the matters they are called upon to decide-personality tests have received surprisingly little scrutiny,” Paul writes. We can call in the psychologists. We can give [people] a battery of tests. But will any of it help? Read more of Malcom Gladwell’s revealing New Yorker Article. John Searle’s book is a must-read for every social scientist. Searle makes the important distinction between observer independent facts (the sun exists independently of any human being observing it) and oberserver dependent facts (money does not exist unless people agree that a sheet of paper is worth a particular amount). This distinction, in my view, lies at the core of what makes natural sciences different from the social sciences. Important Workshop at AOM ‘04: Participate in the workshop on Adaptation vs. Selection in Industry Change organized by Jan Rivkin and myself. Panelists are: Bill Barnett, Clayton Christensen, Anita McGahan and Will Mitchell. Paul Romer gave an interesting interview in Reason Magazine describing in non-technical terms on how ecnomic growth comes about.